THE SECRET TO HEALTH, FITNESS, AND WEIGHT LOSS LIES IN HOW YOU BREATHE. One of the biggest obstacles to your health and fitness is a rarely identified problem—and one that is unknown outside of medical journals: chronic overbreathing. We can breathe two to three times more air than required without even knowing it, and chronic overbreathing leads to loss of health and poor fitness and contributes to problems such as anxiety, asthma, fatigue, insomnia, heart problems, and even obesity. Within minutes you can improve the amount of oxygen delivered to active muscles and organs by changing how you breathe, using the simple and easy-to-apply techniques in this book. Whether you’re an elite athlete looking to simulate high-altitude training or an everyday person looking for more daily stamina and health benefits, these revolutionary, scientifically validated breathing exercises have the potential to maximize and drastically improve your current performance level. Start reading The Oxygen Advantage on your Kindle in under a minute. I had an opportunity to review the galley copy of this book and enjoyed it so much I read it three times as there is so much useful information in it that is not taught in conventional medical approaches. I read about three nonfiction books a week and this was one of the top ten I have read in the last year. This book is HIGHLY recommended and uses a highly counter intuitive approach with profound health benefits. Hardly any health practitioners are aware of this important inexpensive tool to improve your health because this information has not been taught in Western medical schools. Dr. Mercola actually interviewed the author two years ago http://articles.mercola.com/sites/articles/archive/2013/11/24/buteyko-breathing-method.aspx and also wrote the forward to the book. Proper breathing is every bit as important to your health as is eating the right foods or drinking fresh, pure water. Yet, if you're like most people, you take your breathing for granted! What’s more, there is a good chance that the way you are breathing may be hurting you without you even realizing it. While breathing is a fundamentally natural function, it can be negatively influenced by many factors of modern living, such as stress, sitting at a desk all day and even excessive talking. In fact, about 80 percent of the Western population breathes incorrectly—typically by overbreathing. Most of us are taught if we want to relax or prepare for an important event to take deep breaths. Paradoxically this can actually be one of your worst actions. Why? When you overbreathe, you deplete the carbon dioxide levels in your blood. That may seem desirable, since carbon dioxide is often considered a waste product, but your body actually needs healthy levels of carbon dioxide to release oxygen from the hemoglobin in your blood cells to your tissues. If the CO2 level is too low the oxygen will bind too strongly to hemoglobin and will not be released. If you have low CO2 levels due to breathing too rapidly or heavily, the smooth muscles around your airways also constrict. This constriction creates a negative feedback loop that can lead to chronic hyperventilating and serious health challenges. It also impairs the production of nitric oxide which causes your blood vessels to tighten, reduces blood flow to your heart and could lead to a heart attack. The most common form of overbreathing is breathing through your mouth. Remember your mouth was designed for eating, not breathing. When you breathe through your mouth, the air bypasses your nose, sinuses and nasal passages and enters your lungs directly without the benefit of filtration and temperature and moisture regulation that these tissues provide. While it seems that taking deeper breaths through your mouth allows you to bring more oxygen into your body, , the opposite actually happens. This is because your blood is nearly already saturated with oxygen, typically around 97-99% and breathing more simply won’t add more oxygen to your tissues. The key is releasing the oxygen bound to your red blood cells to release the oxygen. This only occurs when your CO2 levels are high enough. So excessive breathing drives your CO2 levels lower making it harder to deliver oxygen to your tissues. To test this theory out, rapidly take five or six deep breaths in and out of your mouth and see how you feel. Most people will begin to experience some light-headedness or dizziness, which is related to low CO2 levels. Sadly new research shows that mouth breathing is associated with many health problems, including common ones like asthma, anxiety and sleep apnea and most also likely plays a role in many chronic degenerative diseases like heart disease, cancer, arthritis and Alzheimer’s. The first step to improving your breathing is simply to breathe through your nose, not through your mouth. Nasal breathing has a number of advantages for your health AND your fitness, because your nose and sinuses “pre-treat" air as it enters your body. There are a number of ways to improve your breathing and re-train yourself to breathe through your nose. My clear favorite though is the Buteyko Method, named for the Russian physician who developed it in the 1950s. Dr. Buteyko discovered that the level of carbon dioxide in your lungs correlates to your ability to hold your breath after normal exhalation, and he developed a simple self-test to determine your CO2 levels that is taught in the book. 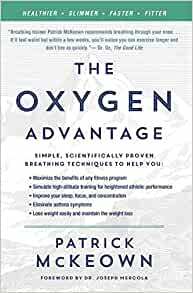 The Oxygen Advantage by Patrick Mckeown is currently the best reference work to teach Buteyko breathing exercises that are taught and demonstrated in this book are one of the best strategies to permanently resolve asthma without dangerous drugs and relieve anxiety and sleep apnea. Part of the Buteyko Method involves breath-hold exercises designed to simulate the effects of high-altitude training. This is another major benefit for those who compete in athletics. When your body is exposed reduced oxygen levels—such as the experience of high altitude, or by holding the breath—many metabolic adaptations take place. These adjustments improve the oxygen-carrying capacity of your blood and widens your blood vessels. I remember that when I was a little kid it was fun to see how long I could hold my breath. Fast-forward to today, and holding my breath for a fraction of the time I did as a child is not fun- in fact it feels like a desperate “brush with death”! The main premise of this book is that we become adapted to over-breathing with significant diminishment of our health and well-being. For the specifics of how and why we have adapted to over-breathing, please refer to the book if you find this review interesting. I believe this premise that we have adapted to over-breathing is true and self-authenticating , from reading and working with the book. This book is truly transformative and deserves to be widely known. There are three components to the Oxygen Advantage program which addresses this over-breathing. 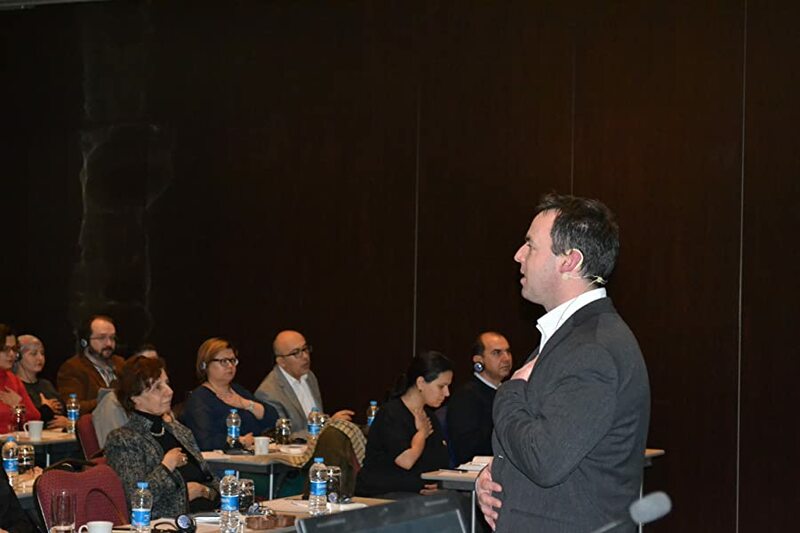 They are explained clearly and supported with anecdotal and scientific studies, and tips and exercises are given to develop them. I appreciate the scientific explanation (which is not tedious), because it provides real support and conviction for engaging the process. #1 Breathe through the nose- Personally I already took #1 for granted when I came across this book. The reasons for nose-breathing are explained thoroughly in this book, and a very persuasive case is also made in John Douillard’s “Body, Mind, and Sport”. Reading that book convinced me to learn to run without mouth-breathing, which has already convinced me that nose-breathing is calmer and healthier and more efficient than mouth-breathing. This book has shown me that I still have some work to do in this area, but what got me excited about the book immediately was working with breath holds. However, breathing through the nose at all times would have to be considered the most fundamental building block of the program, I believe. #2 Breathe Light to Breathe Right- In the book, a tai chi master is quoted as saying, “Generally speaking, there are 3 levels of breathing. The first one is to breathe softly, so that a person standing next to you does not hear you breathing. The second level is to breathe softly so that you do not hear yourself breathing. And the third level is to breathe softly so that you do not feel yourself breathing.” The author was told that at tai chi tournaments, judges pay particular attention to the breathing of the contestants, and if they can notice their breathing, points are deducted! More about this topic shortly. #3 Increase your ability to hold your breath- This topic is what initially captured my attention, because I experienced immediate positive effects from practicing breath holds. At my starting level, the exercises are simple and mild affairs, where the breath is held after an exhalation (while walking for example), only to the point of feeling a tolerable need for air (both words, “tolerable” and “need” being key). Breathing should be back to normal after the hold in 3 breaths or so, or the hold is overly intense. 2) There is a psychological stress around breathing that this process is helping to dissolve. The first tolerable need for breath is not a danger signal, any more than beginning to get hungry should lead to panic. As this stress unwinds, there is relaxation and calm mindfulness in its place, with more relaxation in movement and effort. 3) I have an undeniable increase in physical well-being. Of course, everyone who works with this book will have a different starting point and experience of the process. I feel that it is a fantastic boon to discover that I have adapted to over-breathing in my life (just the opposite of what I have been conditioned to believe), and begin to unwind it. I think therefore it is only kind to recommend that anyone find out for themselves if they over-breathe. I don’t think there can be many more fundamental discoveries than this to make about oneself - perhaps one or two profound spiritual discoveries would fill the bill! There is considerable information presented on the health benefits of this program, with almost 300 references to supporting theories and compelling evidence. And there are recommendations for how practically everyone can safely engage the process, from someone in poor health to someone in superb physical condition. Check it out! and understandable. I highly recommend this book.